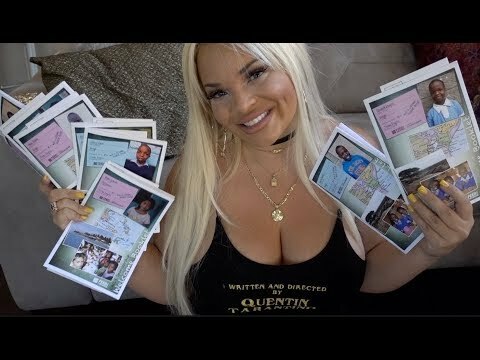 Trisha Paytas Queen of charity! she is doing it for views. Last edited by RileyH; 26-07-2018 at 08:47 PM. Last edited by lewys; 26-07-2018 at 09:06 PM. While it is a good cause people like her who feel the need to tell everyone shes doing something nice do my head in. Paris Hilton has donated millions over the years to a charity called 'Make a Wish' which gives dying children a holiday before they become too ill or support their family financially. She has donated for years under a different name and people only found out when her house was burgled. Sandra Bullock is another who quietly donates huge sums without involving any press so she can bask in the glory.